Bradley Walsh’s album was the best selling debut by any British artist in 2016 and Getintothis’ Rick Leach sees this as a very good thing indeed. It was with a certain level of incredulity that we discovered that the best selling debut album by a British artist of 2016 was a collection of soft jazz classics by the 56 year-old game show host and former Coronation Street actor, Bradley Walsh. What was the world coming to? Was this the best that popular music could offer? Had people taken complete leave of their senses? All this on top of Brexit and Trump, and the loss of Bowie and Prince. Music had been reduced to this? We are all truly doomed. There was much wailing and gnashing of teeth. Not only that, but Walsh’s Chasing Dreams was the only debut album by a British artist to go gold in the year. It managed to sell 111,650 copies, leaving Blossoms at 74,155, ex-One Direction Zayn Malik with 65,208 and Jack Garrett with 62,954 trailing miserably in his wake. He also managed to do this in just over a month, with Chasing Dreams release date of 26 November. You cannot underestimate the sheer stupidity of the British public. Why had this travesty of music sold so well when there was so much other-and more importantly-better music to be had? Let’s look at it. A mere rehashing of tired old tunes, playing the same old games, and making moves that have been done to death over and over again over the past thirty or forty years. We’ve heard it all before and it’s becoming more than a little past it’s sell-by date. I’m not talking about Bradley Walsh’s album. I’m talking about the endless and frankly lazy recycling of music from the 1960’s. 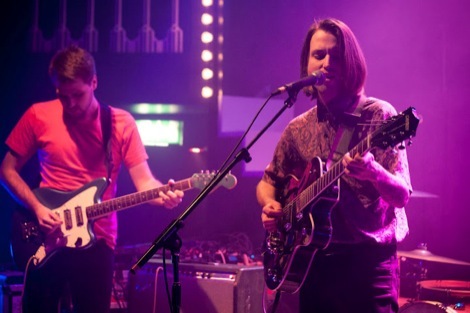 You don’t have to be some sort of musical archaeologist to be able to draw a very straight line from The Beatles, Stones, Velvets, Iggy, The Bryds and the rest to cotton onto whatever new “rock and roll” (sic) young gunslingers are up to. The same old poses. The same old riffs. The same old, same old. This rock and roll strata; guitars, bass, drums and usually a sneering or fey vocal performance, feigning a life on the edge and an inherent sense of danger and rebellion can be seen through, for example, The Clash, The Jesus and Mary Chain, The Smiths, My Bloody Valentine, The Stone Roses, Oasis and the rest. Right up to whatever was intensely fashionable in 2016. (I leave you to guess at the names. There’s a long list.) And it’ll be the same in 2017. And 2018. 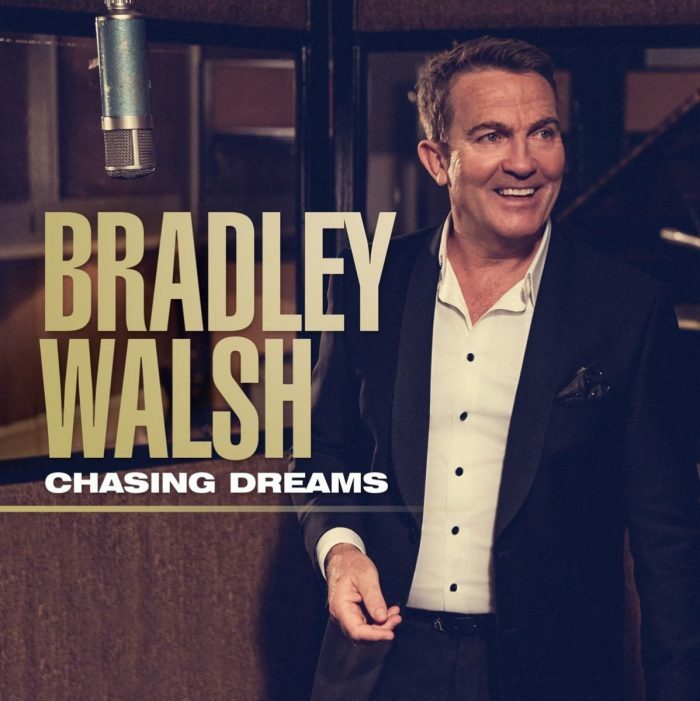 So it’s a bit much to hammer Bradley Walsh for coming out with an album that contains such classics as Mr Bojangles and That’s Life. Aren’t those songs as valid as anything that was written and recorded in 2016? And yes, young Bradley is no Sinatra, Bennett or Martin, but I guess he wouldn’t claim to be – and in any event who would be? He makes a fair fist of those tunes and it’s just as enjoyable, and possibly more openly honest than hearing some floppy-fringed twenty two year olds rip off (badly) Eight Miles High. Furthermore, if the ‘musically uneducated’ British public want to hear Bradley Walsh croon songs that he loves, why not? What’s the problem? I’m sure a whole lot of people who bought the record know that Sinatra et al did them a whole lot better, but that doesn’t matter. Isn’t the point of music listening to something you enjoy as opposed to something you can be congratulated about owning? Yes, the Bradley album, (I’m even calling him by his first name alone now) may be a cynical marketing exercise, a collection of songs that will always sell well just before Christmas and on the back of very successful daily TV show, but how many of the rock albums are released with nothing but the purest artistic intentions and not with an eye on the current zeitgeist or timed to coincide with festival appearances or award ceremonies? So all the best to Bradley for bucking the trend and many congratulations. He’s played a blinder.